ePublishing Knowledge BaseePublishing Knowledge BaseePublishing Knowledge Base User Profiles and Registration FormsHow do I restrict individual video or audio files from being downloaded on the Purchased Content Page? Not all publishers want to allow all of their video/audio files to be downloaded to readers' computers. To make downloads optional based on an individual product, select the correct taxonomy setting to set whether that file can be downloaded, streamed from the website, or both. This is changed per file within Media Manager. 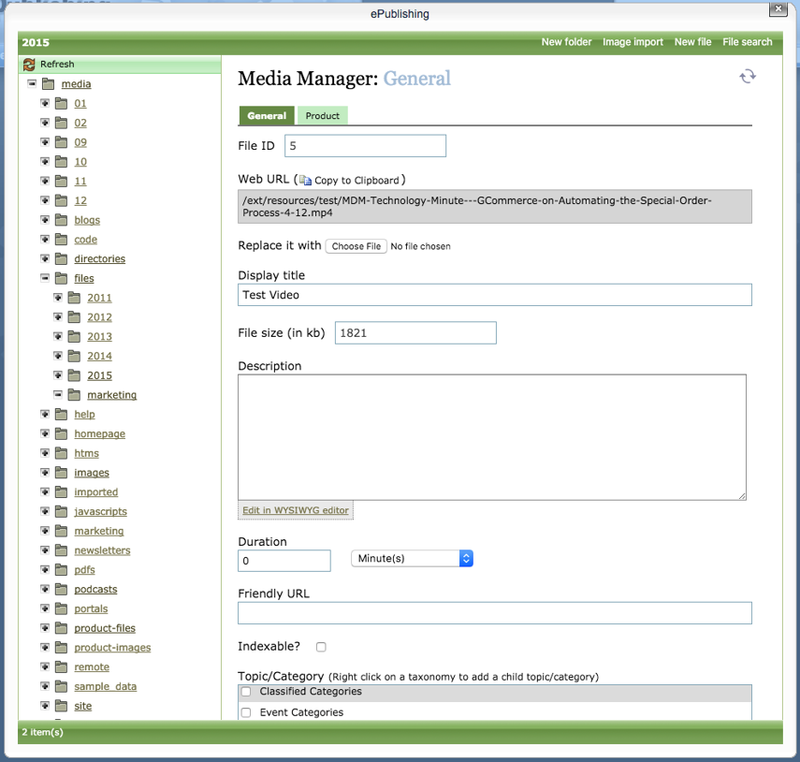 Open the Media Manager by clicking Manage Media Files under Editorial in Admin. Open the file you wish to change in the Media Manager. For more information on accessing Media Manager, see How do i access the Media Manager? For information on uploading files in Media Manager, see How do I upload new media, such as photos, videos and files? Zoom: Open the file you wish to change in the Media Manager. Scroll down to the Classification area. Click Classification to open the section. Find Products in the list and click it to open the section. Find Restrict File Download in the list and click the checkbox to apply this setting to the file. As a result, the individual video or audio file on your website will only show the VIEW NOW option and links. Click Save to preserve changes. Prev: How do I turn product thumbnail images on or off on a reader's Past Orders page? Next: How do I turn on or off the user registration email?